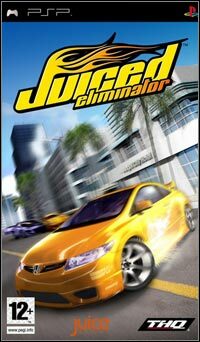 Juiced: Eliminator is an arcade car race dealing with the fashionable subject of illegal street drivers' struggles. Juiced: Eliminator will deliver a unique game-play experience, taking advantage of the PSP's functionality to offer new multiplayer games and expand on the Crew and Pink-slip racing that helped established Juiced as a leader in the street-racing genre. The game will feature new crews, new licensed cars and a number of new ad-hoc multiplayer games exclusive to the PSP. Game score 7.3 / 10 calculated out of 93 players' votes. Expectations before the premiere: 9.2 / 10 calculated out of 4 players' votes.